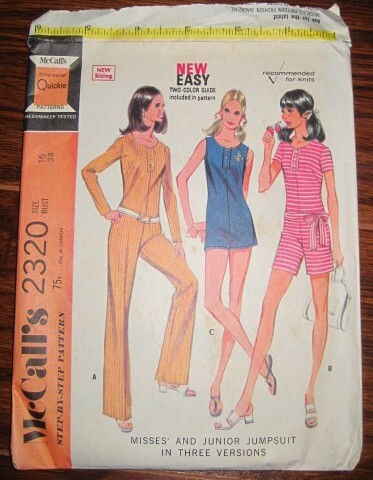 My dad found me some more patterns–these are a bit more recent than the previous batch–mostly from the late 70s to early 80s. They are all designed for knits and come in big envelopes and are printed on heavier paper; you are supposed to trace the correct size onto pattern paper. This is a great idea, since it allows multiple uses for different sizes. 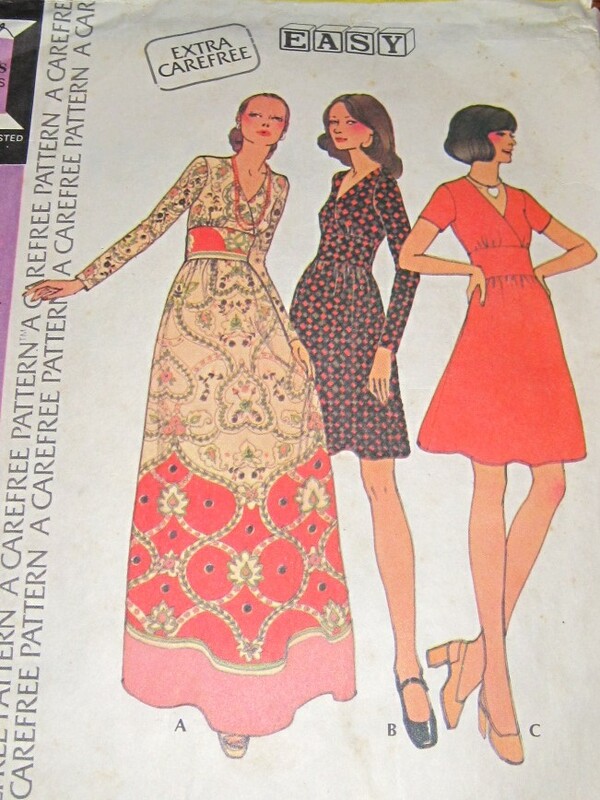 There are six of these; my two favorites are the gored skirt and the swimsuit, both from 1979. 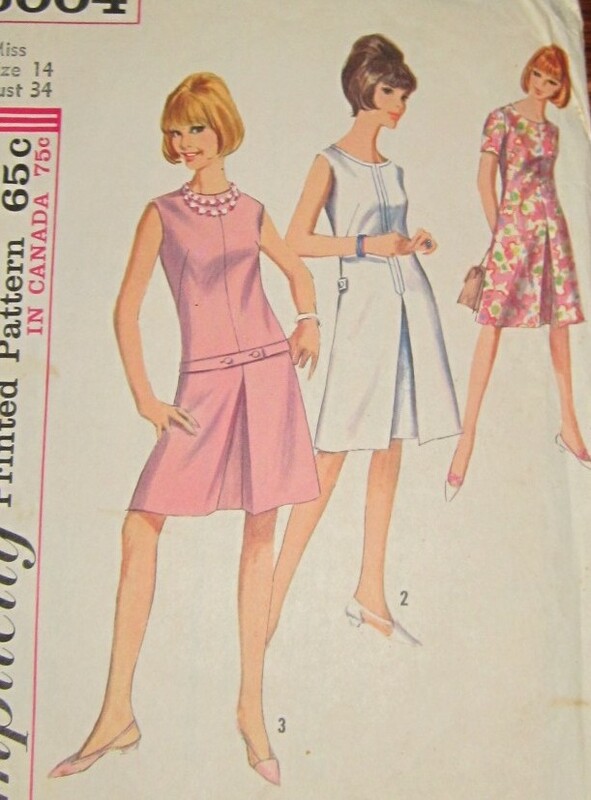 There is also a McCall’s Easy Sewing Book, copyright 1960. These old sewing books are always fun–no matter how simple they claim to be, they always seem to assume quite a bit of knowledge. And I love the kittens on the cover! This one seems like it would be as flattering as a wrap dress but without the danger of inappropriate revelations on a windy day. This one is just so glamorous. 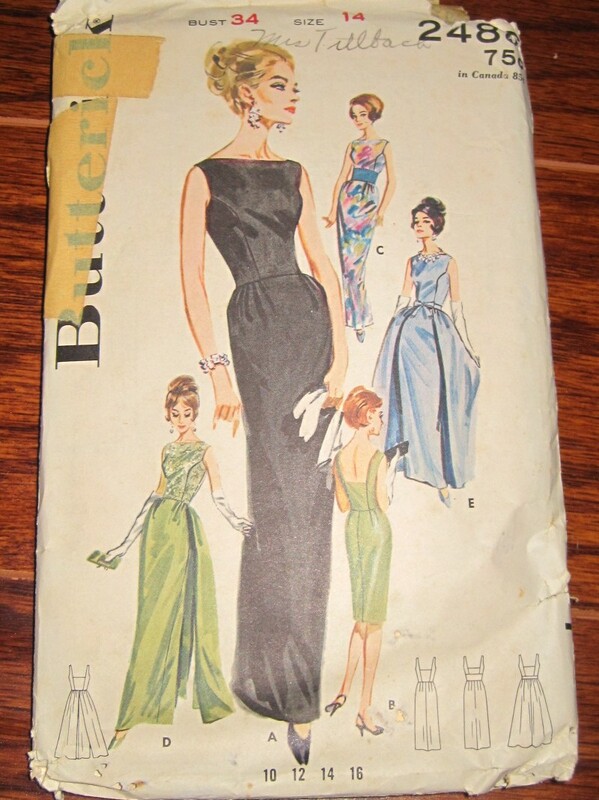 However, I don’t think I would ever have occasion to wear a dress like this, much less the skills to make it. This one is just cute and fun. I especially love the low belt on version 3. 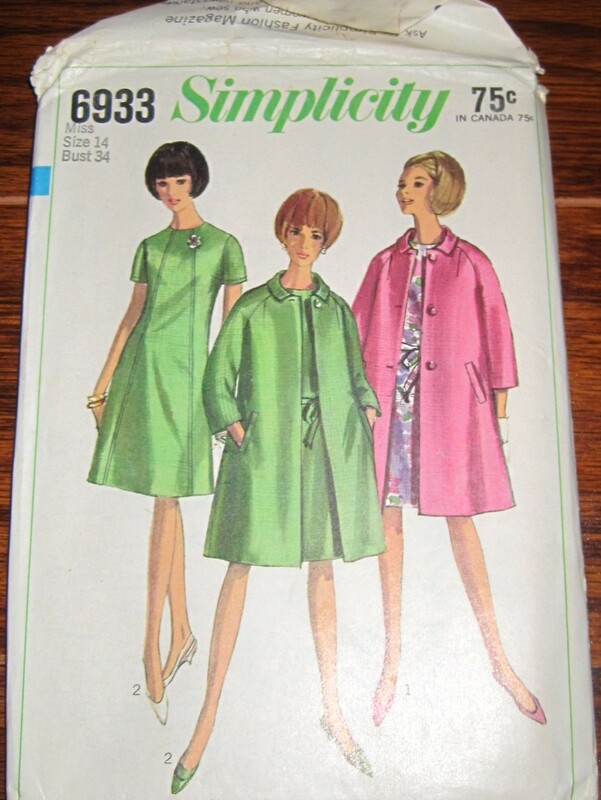 I love the idea of a dress with matching jacket. And I like the stitching details on what is otherwise a very simple dress. I would never in a million years wear this, but it cracks me up. This might be my favorite because of the cutout detail. And what I at first thought were pleats on versions 2 and 3 are actually little shorts worn underneath. The back of the envelope describes the shorts version as a beach-dress. I wish I would have known about this before my Mexican vacation! 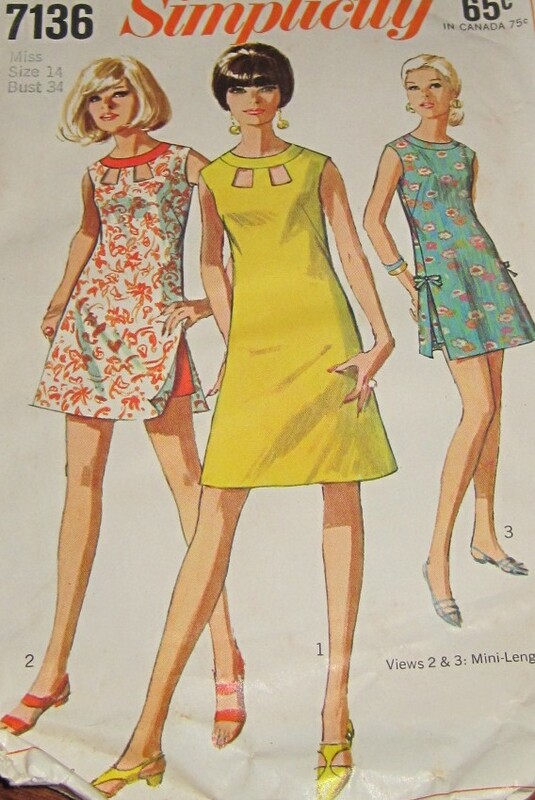 Anyway, I am quite eager to get started on one of these dresses (but not the jumpsuit). Unfortunately, work comes first and I’ll be swamped for the next few days.